The main reason I wanted to learn how to do this was to make more realistic dress textures for Poser figures. This method is great for fairly uniform folds, but it obviously can’t beat hand painting the draperies. But for a fairly decent looking texture in a short period of time, it does pretty good. Plus, you can always enhance it with additional use of the Mesh Warp tool and hand painting. It can also be used for hand painting clothing on figures as well, as Will Dupre showed in this thread at Poser Pros (free membership required to view). 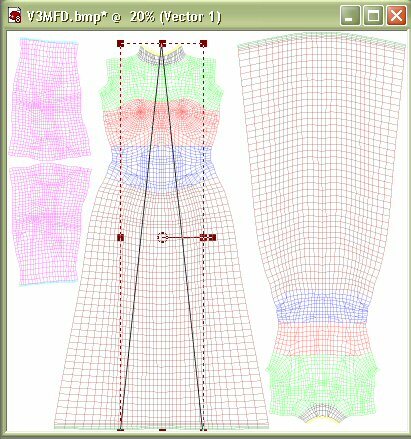 I’ve chosen to use the V3 Morphing Fantasy Dress from DAZ. I used UV Mapper to create a larger template than what is available on their site. I also selected to color the mesh by material. This template is 2500×2500 dpi. 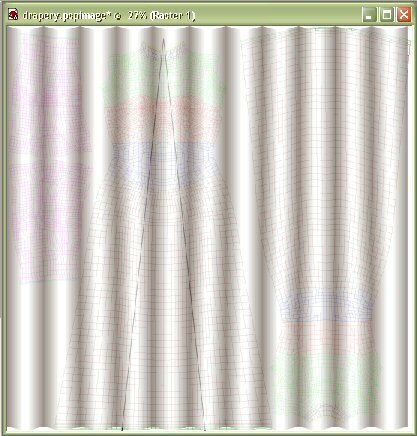 After opening the template in PSP8, I selected the Preset Shape tool, chose the triangle shape, made sure that Create as Vector was selected, and set the line width to 3. After creating the triangle, I moved and resized it until it covered the area I needed. Next, I created a new layer, filled it with white, and applied the Jama 3D filter using the same settings as on the drapery and swag I did earlier. After applying the filter, I lowered the opacity on the layer so that I could see the triangle below. I decided that the folds were too far apart and would require more work, so I undid the plugin and reselected Jama 3D. In Jama 3D, I adjusted the width of the folds to get more of them. There are two ways to adjust the width of the folds, either by moving the gold box at the top of the image window or by clicking on the up and down arrows in the bottom right hand corner of the panel. Click on Apply to accept the changes. 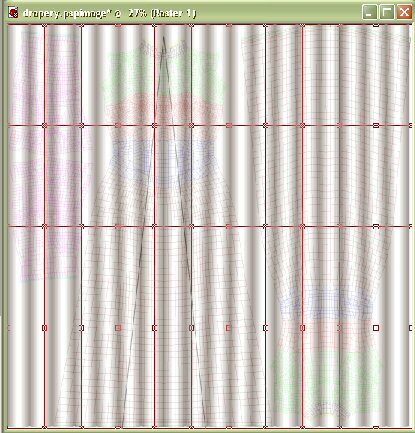 Select the Mesh Warp tool and set the horizontal and vertical mesh lines. Here I chose 10 horizontal and 3 vertical. This gives me enough room to adjust the folds horizontally while not requiring a lot of adjustments vertically. Remember, you can always add or subtract mesh points as needed after you’ve started. Okay, here’s the mesh I’ve selected. I began moving the top points over to meet above the point of the triangle, adjusting the points on the horizontal lines as I went. I also made sure that the trough of a fold lined up with the side of the triangle. 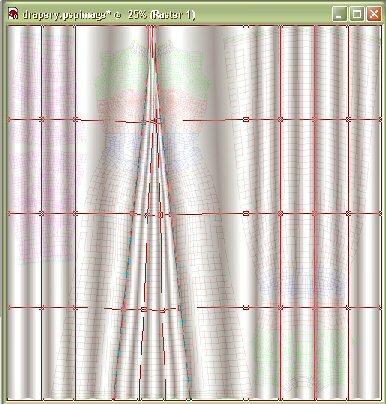 For this one, I only adjusted four of the sections, but more can be adjusted to get a more dense drapery. 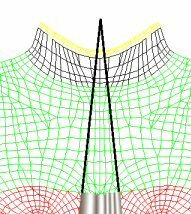 Double-click on a mesh point to accept the changes. Now, we want to be able to delete the folds outside the triangle, but since we created the triangle as a vector, you can’t select outside the lines. Create a new vector or raster layer, doesn’t matter which. Hide the background template layer and the drapery layer and make sure one of the visible layers is selected. 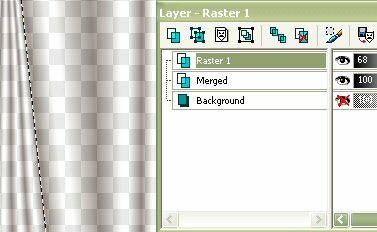 Choose Layers > Merge > Merge Visible from the menu. The two visible layers will be merged leaving the background and drapery layers intact. 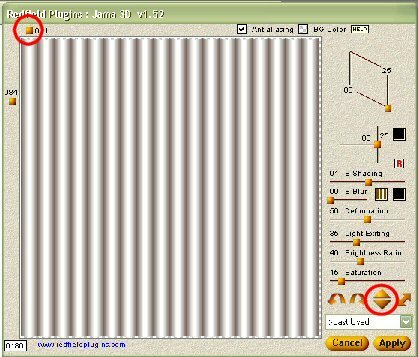 Select the merged layer, then select the Magic Wand tool, and click outside the triangle. Addition: if you create the vector shape with a fill color, then instead of creating a new layer and merging the two, simply select the layer the vector is on, then choose Selections > From Vector Shape from the menu, then continue to the next step. Select the drapery layer, then select Edit > Clear from the menu. You’ll be left with just the section of folds that you want to keep. Change the opacity on the layer back to 100 if you haven’t already done so. Make sure that the background layer is visible and deselect all. Use the eraser tool to get rid of any areas of the drapery that you don’t want to keep. I had been going happily along without paying attention to what I was doing and lost the file I was working on so I had to redo it. This version has more folds in the triangle section than what you see above. Anyway, here’s what I had left at this point. 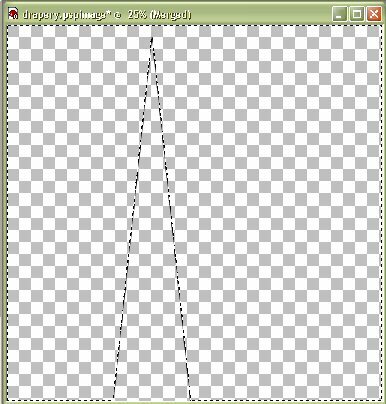 Select the Magic Wand tool again and click outside the drapery area, then invert the selection. Create a new layer, set the Blend Mode to Multiply, then fill the selection with a pattern of your choice. Here’s a closeup of a section of the folds. 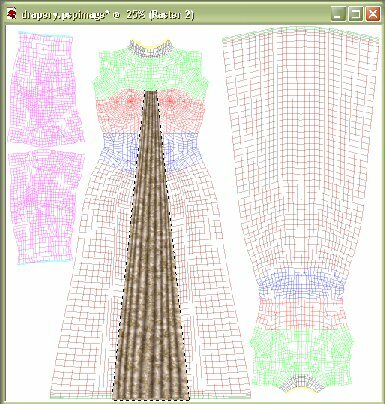 You can now add more drapery sections using additional layers, then add trim, etc., etc., and so forth. 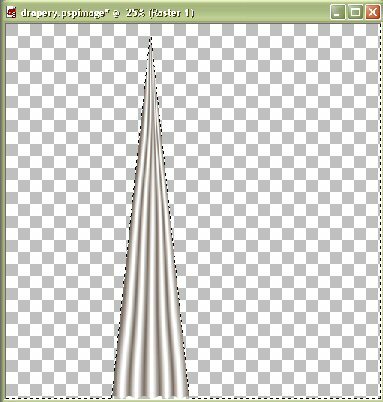 Did you know that you can save the mesh warps you create to use later on other images? On the Mesh Warp toolbar, there’s a save icon (floppy), select it and save the warped mesh to your hard drive. When you want to use it again, click on the open icon (folder), locate the saved mesh warp and load! Don’t be afraid to use different vector or free hand shapes and fit the drapery to match. Add or remove additional mesh points. 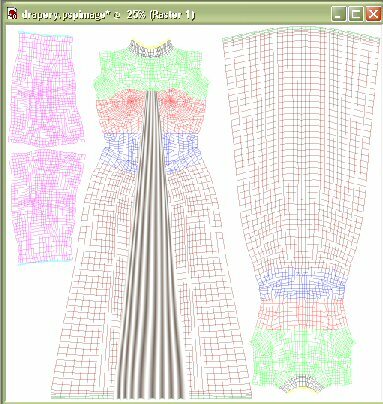 Apply the Mesh Warp tool then move new points around. Use the Deformation Tool. Add hand painting to the folds to make them more natural looking. Have fun! Experiment! Check out a few more examples. So now what is your next step? Well, Robin Wood has the answer to that with her tutorial “Adding Patterns to Cloth.” This works best with handpainted fabric, but can be adapted to this method.